PriZm is an enchanting percussion instrument with a singing soul. The name of the instrument, PriZm, comes from its similarity in shape with the optical "Dove prism". This instrument looks especially great with its blue lights glowing in the dark. 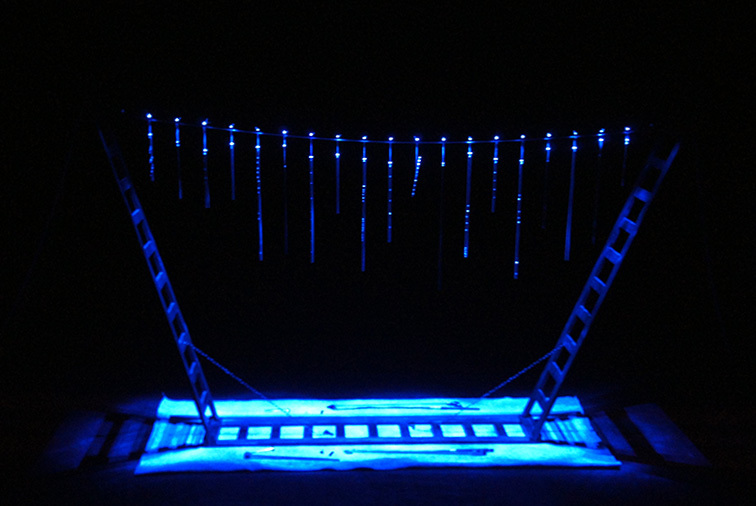 The initial idea for PriZm was to make a percussion instrument that has lights integrated in its body. When hitting the tubes, the reflected light visible from the holes starts to twinkle, giving a visual effect of a glittery shine of stars and precious stones. During the building process we were experimenting with materials, and made a wonderful discovery. When hitting a loosely hanging rod we could hear a quiet wobble. We froze, held our breath and hit the rod again. The same sounds were there! We hadn't heard of an instrument with such sonic qualities before. And it was immediately clear to us that exactly these wobbly sounds represent the core character of PriZm. So we created a new instrument group : Wobblophones - instruments with a strong presence of overtones and unstable pitch. And this is also what our sampling project Wobblophones is about : building and sampling our self-made instruments, experimenting with new ways of making musical sounds and exploring the wobbly sounds. 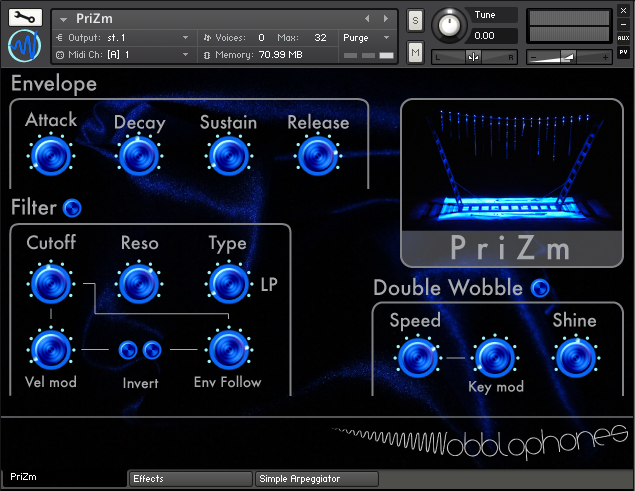 The PriZm sample library for Native Instruments Kontakt covers a range of 4 octaves and reveals the versatile character and the diversity of timbres of the instrument. Install size of the library: 1.07 GB. Full version of Kontakt 5 required.